Manage all of your investment accounts in one place. Get started quickly by importing from brokerages, or QIF, OFX and CSV files, or enter your data manually. Group portfolios together and categorize your investments. 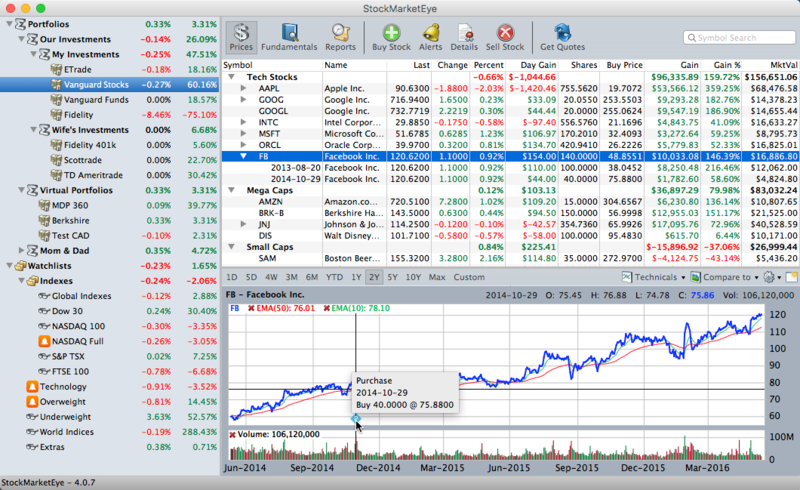 Facilitate your investment research with watchlists. Get perspective with built-in, historical stock price charts.